David Lloyd Topping was born in Pentrefoelas in North Wales on 8 May 1945. He was the only child of Mary Lloyd Topping (nee Thomas) and grew up with his mother and her family who were the local blacksmiths. He spoke only Welsh until he entered the local primary school, aged 5 years. He gained entrance (by examination) to Llanrwst Grammar School in 1956. On matriculation, he studied biochemistry at Liverpool University, graduating with Second Class Honours in 1967 and then took a post as a research assistant on the external staff of the Medical Research Council at the Royal Veterinary College in London, enrolling for a PhD in 1968 which was awarded in 1972. From 1967 until 1969, he was a research assistant at the Royal Veterinary College supported by the Medical Research Council, working with Dr Peter Mayes on the acute effects of insulin and fructose on lipid metabolism in the isolated perfused rat liver. From 1970-1971 he was granted a Wellcome Trust scholarship to work with Peter Mayes and Dr James (Jim) Felts at the Banting and Best Institute of Medical Research, University of Toronto, on the role of oxygen supply on the metabolism of the perfused liver. On return to the UK, he continued as a Research Assistant and, then, Research Associate at the Veterinary College. From 1973-75 he was employed as a Lipid Biochemist at the Tobacco Research Council Laboratories (Harrogate, Yorkshire) before returning to the Royal Veterinary College. In 1977 he was appointed Research Scientist at CSIRO on a 3 year contract in the newly formed Division of Human Nutrition under its foundation Chief (Dr Basil Hetzel). He gained indefinite status in 1980 and has been with CSIRO ever since and is now a Chief Research Scientist with the Food, Nutrition and Bioproducts business unit. He is a Technical advisor, Starplus®, and Adjunct Professor, Department of Animal Sciences, University of Illinois and an Affiliate Professor, School of Agriculture, Food and Wine, University of Adelaide. He has served on the Scientific Advisory Committee, Australian Institute of Food Science and Technology. David considers himself very fortunate both personally and professionally. He was affected seriously by rheumatic fever in very early life and was privileged to be treated with penicillin, then a prohibitively expensive item. When he was 12 years old, he saw, first hand, at the Sir William Dunn laboratories in Oxford where the drug was developed, the science which underpinned the development of antibiotics. This stimulated his interest not only in basic science but also its application to improving health outcomes. His PhD project was to determine the hepatic effects of insulin and fructose using the then-novel technique of organ perfusion. This was a very significant choice as it taught him the importance of ensuring that the experimental conditions should be as close to physiological as possible. His work at the Veterinary College focused on the role of a number of physiological and lifestyle factors on hepatic lipid and carbohydrate metabolism, principally in relation to heart disease risk. Tissue oxygen supply emerged as a key influencing factor on metabolism with implications for diabetes management, heart disease and cancer. This factor emerged as a prime contributor to greater disease risk in cigarette smokers. Following his work in the UK, the question was raised by new colleagues at CSIRO regarding why the well-documented effects of insulin in the body were not replicated in vitro except in the blood-perfused liver. Put simply, perfusion is the maintenance of an organ with its own circulation through the major blood vessels. Clearly, the obvious perfusion medium is whole blood with its high O2 carrying capacity. David and his colleagues proposed that the high O2 consumption of the blood-perfused rat liver was the essential factor enabling insulin action. However, blood has the intrinsic problems of clotting and high viscosity which make it a very unattractive experimental proposition. These are the reasons why it was standard practice in other laboratories to use either red cell-free buffer or diluted blood both of which have very limited O2 carrrying capacity. The problem of clotting was overcome by defibrination while viscosity was minimized through the design of the apparatus so that the use of blood was routine. Their hypothesis was confirmed when dilution of blood with buffer abolished the glucoregualtory effects of the hormone. Subsequently, a blood perfused rat heart was developed with the working attributes of the organ in vivo. In contrast, the standard heart preparation perfused with buffer failed very rapidly and had relatively little work capacity. Epidemiological studies were showing that populations consuming diets high in unrefined grains were at much lower risk of coronary heart disease than those eating modern, energy-dense highly refined foods. The former group also had low plasma cholesterol concentrations, a major risk factor for heart disease. Refined foods are low in fibre so it became accepted wisdom that this was the protective factor. In vitro data showed that fibre bound bile acids. These acids are detergents and play a key role in intestinal lipid digestion. They are formed by the hepatic conversion of cholesterol and secreted into the small intestine via the gall bladder. Most of the bile acids are reabsorbed from the small intestine and recycled through the liver. Binding in the intestines interrupts this cycle leading to greater faecal loss which is made good by greater cholesterol catabolism and lower plasma concentrations. David Oakenfull and David Topping showed that this attractive accepted hypothesis was incorrect for fibre. The binding was a complete artifact due to the procedures used to isolate dietary fibre components. In a series of collaborative studies with CSIRO Food Science, it was shown quite clearly that surface active plant constituents (saponins) did bind bile acids and cholesterol and were effective in lowering plasma cholesterol. A comprehensive series of studies showed also that oats are high in Î²-glucans, a form of soluble fibre, and that they lower plasma cholesterol through enhancing bile acid excretion. These studies included trials in human volunteers and were used to promote the sale of oats and stimulated the production of new oat-based foods which had not contained the grain previously. However, further research showed that other components in the grain were also involved ‘ findings which influenced the subsequent development of new varieties of oats, barley and wheat. The first systematic (and broadly accepted) definitions of dietary fibre were as indigestible, structural plant carbohydrates. This led to an acceptance of fibre action in the gut solely in terms of the resistance of fibre components to human digestive enzymes. David and his collaborators termed this the â€œroughageâ€ model which explains the excellent properties of fibre-rich foods and supplements in promoting regularity through enhancing faecal bulk. However, it became quite clear that this model was seriously flawed. Work in a number of overseas centres showed that major fibre components disappeared on transit through the human gut. This was explained in a series of studies that showed that the human colon (and those of model species such as the rat and pig) had the same bacterial fermentative processes as the intestines of obligate herbivores. The end products (the short chain fatty acids (SCFAs) principally acetate, propionate and butyrate), are the same. As in herbivores, SCFAs are taken up by the human host, providing the viscera with the energy necessary to maintain normal gut structure and function. A sustained program of research in CSIRO and its partners established that one acid in particular (butyrate) was critical in the maintenance of the integrity of the colonic epithelial cells (colonocytes) and also the protective mucus barrier lining the large bowel. Animal experiments showed that raising large bowel SCFAs had a cancer protective effect and opposed large bowel tumours induced by treatment with the chemical carcinogen, azoxymethane. It was shown also that SCFAs abolished colonocyte genetic damage induced by high protein diets. The greatest correlation was with butyrate. This culminated in a human study (published in 2014) in which people consumed diets high in cooked red meat. Rectal biopsies showed the development of adverse changes in pro-oncogenic microRNA. This is consistent with the population data linking greater dietary protein consumption to increased large bowel cancer risk. However, raising large bowel butyrate supply opposed these changes completely. This is the first demonstration that not only can diet induce biomarkers indicative of greater risk but also can nullify those increases. Most colorectal tumors are sporadic and this study opens the door for prevention at the population level. The levels of fermentable fibre carbohydrates in the Australian diet are low, limiting the generation of SCFAs. It also became progressively clearer that, while population-wide total dietary fibre intakes were rising, rates of colorectal cancer rates were not showing the anticipated fall. Indeed, Australia has rates of colorectal cancer that are among the highest in the world. This anomaly was named the Australian paradox ‘ high fibre intake with high rates of large bowel disease. It can be explained by the fact that most dietary fibre is derived from cereals and these are fermented poorly in the human gut. While there are foods in supermarkets such as baked beans, brown rice etc which raise large bowel SCFAs, their scope is limited. Consequently a search was started for ingredients which could be used to raise the fermentable fibre content of processed foods. Several candidates were tested but were shown to be impractical. The first was exudative gum from native trees which proved too expensive to harvest. The wastes from fruit juice processing were found to be an excellent prospect but were not available in the quantities required. A proprietary wheat bran product (aleurone, Nature’s Gold®) also showed promise but the manufacturer was sold and the opportunity lost. In essence, the fibre hypothesis rests on observational studies in Africa. The native Africans consumed unrefined grains and were at much lower risk of non-communicable diseases than Europeans eating energy-dense, highly refined foods. It was assumed at the time that the former had high fibre intakes but this assumption was false. Their intakes are actually low by international standards. However, their culinary practices differed from current ones in that they eat their staple grain flours as porridges which are first boiled with water and then allowed to cool before consumption. This leads to significant retrogradation of the starch rendering a fraction resistant to human digestive enzymes. This is resistant starch (RS) which is fermented by the large bowel microbiota. The resulting SCFAs are relatively high in butyrate with clear benefits for gut health. RS levels in processed foods are extremely low suggesting a causative link to large bowel disease and also the opportunity to improve public health. When CSIRO became partners in the CRC for Food Industry Innovation, one of the research areas was a proprietary maize starch, Hi-maize®. This maize starch is high in amylose which is slow to gelatinise on cooking and quick to retrograde on cooling. This starch gave the opportunity to produce processed foods high in RS and also to test some of effects of RS in experimental systems. One of the key outcomes was the demonstration that current probiotic bacteria do not raise large bowel SCFAs as their main products do not include propionate or butyrate. The potential of SCFA delivery to the large bowel was not lost on the CSIRO team and a new approach was initiated by David Topping and Dr Geoffrey Annison. This was to acylate starch with a specific fatty acid to a degree of substitution which blocked amylase activity in the small intestine allowing it to reach the large bowel where bacterial enzymes hydrolysed the ester bond, releasing the SCFA. This acylated starch is called Starplus® and has proved to be successful in animals and humans. As an experimental tool, it has been invaluable to probe the effects of individual SCFAs. For example, studies in mice have shown that acetylated starch protects against enterohaemorrhagic E. coli. The sale of the company which owned Hi-maize® to overseas interests limited product development and research programs considerably. However, the opportunities remained and a collaboration within CSIRO was set up to prosecute them. A candidate barley grain (Himalaya 292) known now as BARLEYmax® was identified. This is a high amylose variety that was established as a viable proposition to deliver RS through processed foods. A high amylose wheat is also being developed. These grains are invaluable because they can improve public health on a global scale. They can also be employed to investigate basic scientific questions about the interactions between diet, the microbiota and human physiology. Very much what David Topping wanted to do when he embarked on his research career in the 1970s. He has been a lecturer to BVSc students at the Royal Veterinary College (1972-75), BAgSci (Hons) students at the Waite Agricultural Research Institute, University of Adelaide (1985-86), BA, BEd, BND, (Nutrition and Dietetics), BS, BSc, MB, MND and MSc students at Flinders University of South Australia and BPharm students at the University of South Australia. He was on the Editorial Boards of Lebensmittel Wissenschaft und Technologie (1990), Journal of Nutrition (1990 -95), Nutrition Reviews (1993-97), Journal of Nutrition (Pacific Rim Regional Correspondent, 1997-2003), Current Issues in Intestinal Microbiology (2002), Beneficial Microbes (a new journal, 2008-), Advances in Nutrition (American Society of Nutrition, new journal, 2010-), British Journal of Nutrition (2011-15), Advances in Nutrition (2012-15) and Deputy Editor of the British Journal of Nutrition (2015-). He is a member of the American Association of Cereal Chemists International, the American Society for Clinical Nutrition, the American Society for Nutritional Sciences, the Australian Diabetes Society, the Australian Institute of Food Science and Technology (Professional Member), the Gastroenterology Society of Australia, the Nutrition Society of Australia and the Royal Australian Chemical Institute (Cereal Chemistry Division). 1997 Australia and New Zealand Food Authority – Energy value of foods, Expert group. 2002 Ministry of Agriculture and Fisheries (New Zealand) ‘ Defining dietary fibre for food labelling, Expert group. 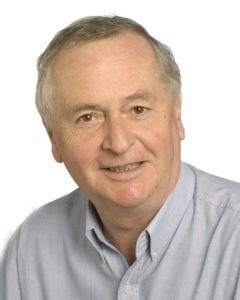 David Topping has received the following honours and awards for his research and its application. 2006 Fellow, Nutrition Society of Australia (FNSA) – for contributions of special merit to the scientific study of nutrition and/or its application to people and animals. 2002 Fellow, Academy of Technological Sciences and Engineering (FTSE) – for contributions to basic and applied science leading to affordable food products which improve public health nationally and internationally.